In his novel The Cut of Pride, Jim Misko does something that is rare in modern literature: he writes about hard, brutal, unpleasant physical labor. And he does so with such vivid detail that the labor itself becomes one of the story's major entities. His cast of complex, dysfunctional characters--owners and employees of a mink-raising farm in coastal Oregon--is nearly destroyed by the seemingly endless toil. Maintaining a sense of human worth is a constant struggle. The brotherhood of men who work well together, like the brotherhood of fellow soldiers, is shown through the friendship of old West Helner and Jeff Baker, a young hired hand. Slaving alongside each other, both are nearly unmanned by Rose--West's domineering wife and owner of the mink enterprise. Here is a story with unforgettable characters, whose pride, distrust, and bitterness make for grim yet gripping drama. 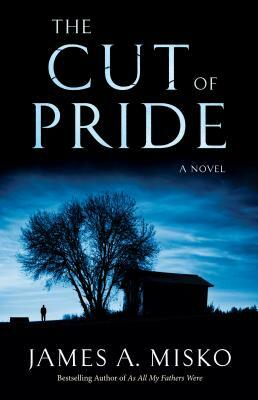 In "The Cut of Pride," Jim Misko's third novel, a group of interesting, cantankerous misfits attempt to run a mink farm in rural Oregon. The resulting black comedy lifts the characters off the page and into our hearts. Leonard Bird, author of "Folding Paper Cranes, an Atomic Memoir." A home run. Misko's taut tale explores a life few people will ever glimpse: relationships and life on a mink farm in the Oregon hills. I want to know more of the hardworking, straight-up protagonist, Jeff Baker. Is there a sequel in the works? Sally Petersen, author of “Tea, Pie, Love and Reality,” memoir-essays. Jim Misko's love of writing is evident in this richly detailed and closely observed account of the forces that hold a family replete with resentment, strength, weakness, and love in thrall to a life that leads inevitably to destruction. Jim Misko, in his new novel “The Cut of Pride,” does something that is really rare in modern literature; he writes about hard, brutal, unpleasant physical labor. And he does it with such vivid detail that the labor itself becomes one of the major entities in the story. His cast of complex, dysfunctional characters—owners and employees of a mink-raising farm in coastal Oregon—nearly destroys itself in its struggle with the endless, nasty toil. There human worth is tested by it. And the brotherhood of men who work well together—like the brotherhood of fellow soldiers—is shown as old West Helner and the young hired man Jeff Baker become friends by slaving alongside each other, both nearly unmanned by West’s domineering wife Rose, the owner of the mink enterprise. These are unforgettable characters, and their pride and distrust and bitterness make for grim drama. Like Hemingway, Steinbeck and Ruark, he writes close to the edge. "I picked up your book one day last week, it was on an end table, I thought I’d read a few pages and see what it was about. I turned a few more pages … and before I knew it I was into the third chapter."